Closeout. 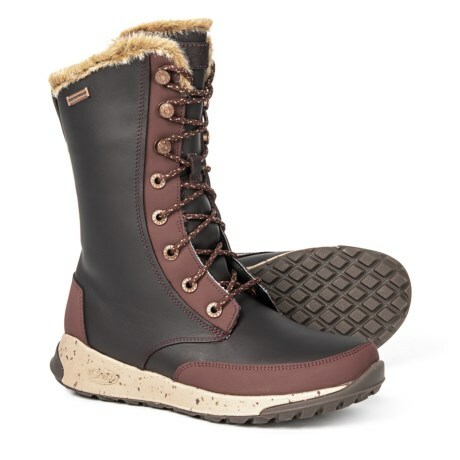 Keep feet dry and toasty on slushy streets with Chacoand#39;s Borealist Tall winter boots, crafted with waterproof leather and lined with fleece. Available Colors: MAHOGANY, MINK, BLACK. Sizes: 6, 6.5, 7, 7.5, 8, 8.5, 9, 9.5, 10, 10.5, 11.